Shakespeare lived during the Elizabethan period, which was filled with magic and sometimes terror. Witch trials took place during this period, and a good bit of the superstitions that carried through the Elizabethan period were based around assumptions that surrounded the trials. Pagan influence was present in literature, and many of the superstitions outlasted the century and still exist today. Shakespeare wisely paid attention on these many superstitions, but also deviated from the demands of the people in the way that he created a full and diverse range of characters from different worlds, that means, apart from the usual humans with which most of the people could identify themselves, he added supernatural characters with opposite moods, not only terror characters, but also humorous and joyful, as in the play we are talking about. 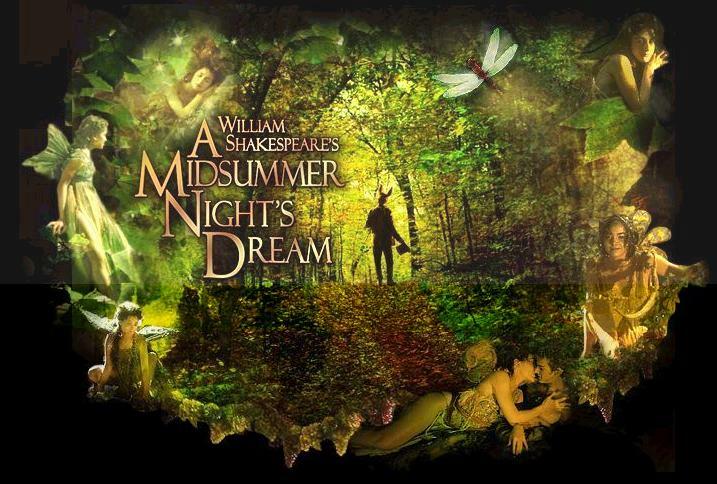 Why I wanted to focus on A Midsummer Night’s Dream, is because even Shakespeare used many different supernatural characters in his plays, I wanted to treat these elements from the comic side of it, seeing them in a play in which they take part in the action and have the same importance as the mortal play partners. Oberon, Titania, Puck, and the rest of the Fairies who form part of their court are as magical as the apparitions in other plays such as in Macbeth. It has to be said that in Macbeth was the first play that the author used mysterious elements, and that is patent in the later use of this characters in A Midsummer Night’s Dream. I would like to point out that in Shakespeare’ period, the witchcraft had a centre stage in the supernatural fears of that people. The author had an empathy with his audience and he knew what they wanted to see, they wanted actual themes in his theatre plays; that’s why he reflected so much the difference between one plays and others and between the characters too. In the comedy that we are analysing, the fairies give the comedy nature to the text, without them, it would be a love story without a happy ending. They are active participants of the story, the fairies are the one’s who confuse everyone and they sort out the conflict later, leaving a happy ending as if anything had happened. In the woods, where the action takes place, a place considered by the symbolism in literature as a place of evil or mystery, where all bad things can come reality, where wilderness rules over human rules; but Shakespeare helped the fantasy to fill the forest with magical elements, animals or plants, so it becomes an enchanted ground, a fairy-land, a place where conflicts are solved in the medieval romance of William Shakespeare.